Should we make a mess so allowance can abound? My wife and I are just starting an “allowance” for our kids, more like a chore incentive program. They do their chores, they earn a little spending money. 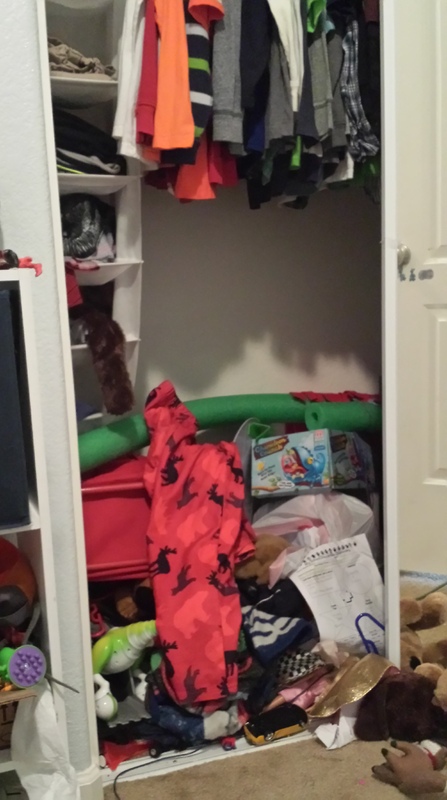 My 5 year old son was looking for his remote control ‘Mater and said it was at the bottom of his closet, which is a nightmare! I told him not to make a huge mess, his reply: “Its ok, if I make a mess I can clean it up and get some money!” I told him that’s not how it works, you can’t create the mess on purpose just to clean it up and get some money. What shall we say then? Are we to continue in sin that grace may abound? By no means! We have a gift of grace from God, but if we sin intentionally knowing that we can ask for forgiveness and He will forgive, we are wrong! That’s not how it works! Just like my son with his intentional mess, we also can’t make an intentional spiritual mess and expect to be forgiven! Of course we will all sin and fall short of God’s glory (Romans 3:23), but if we do our best to walk the Christian walk, and to be Christlike, then God will forgive our sins (1 John 1:5-9). I pray that y’all have a great day! This entry was posted in Every Day and tagged Christian, Christian Walk, Christianity, Forgiveness, God, Jesus, Religion & Spirituality, romans, Sin, spirituality by Richie. Bookmark the permalink. Haha, sounds like my son. These kids these days, too smart.